All the latest from the International competitions and shows. It was a British Invasion! 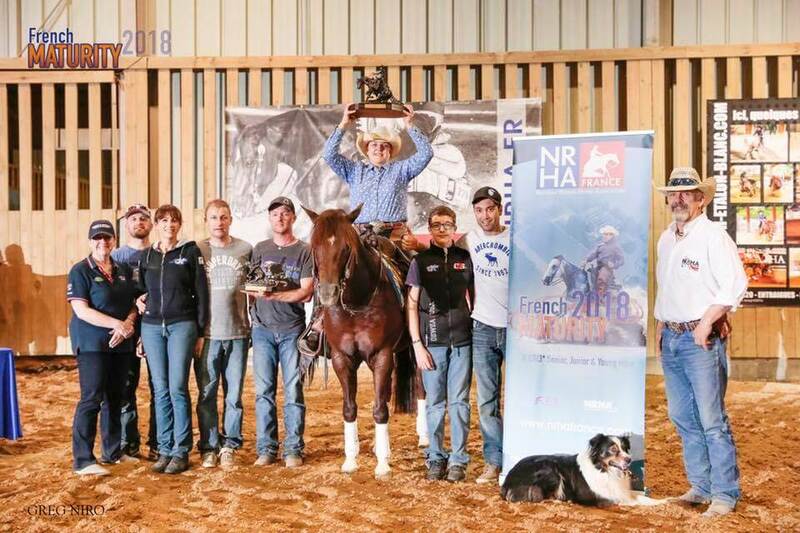 We had 7 riders and 8 horses at the French Maturity this April, with Professional and Non Pro riders getting onto the podium 6 times. 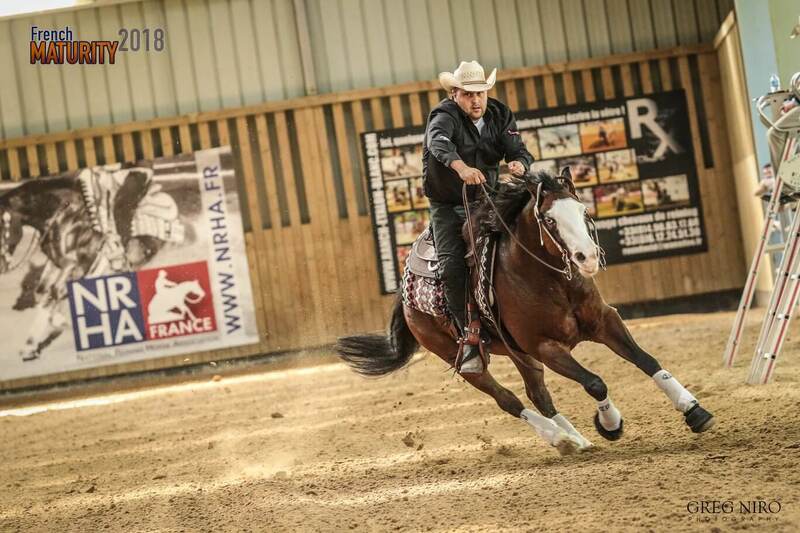 The quality of our British horses did not go unnoticed, and the level of training and riders with cool heads that took on the 27 degree Paris heat. I’m not saying that every run we took was perfect, some of us were testing new partnerships and others pushed ourselves out of our comfort zone. I think that is how we improve – by taking the risk! The atmosphere at Le Petit Far West was as welcoming as ever, the Centres’ host and staff helped us settle in and the European trainers supported and encouraged us all as always. 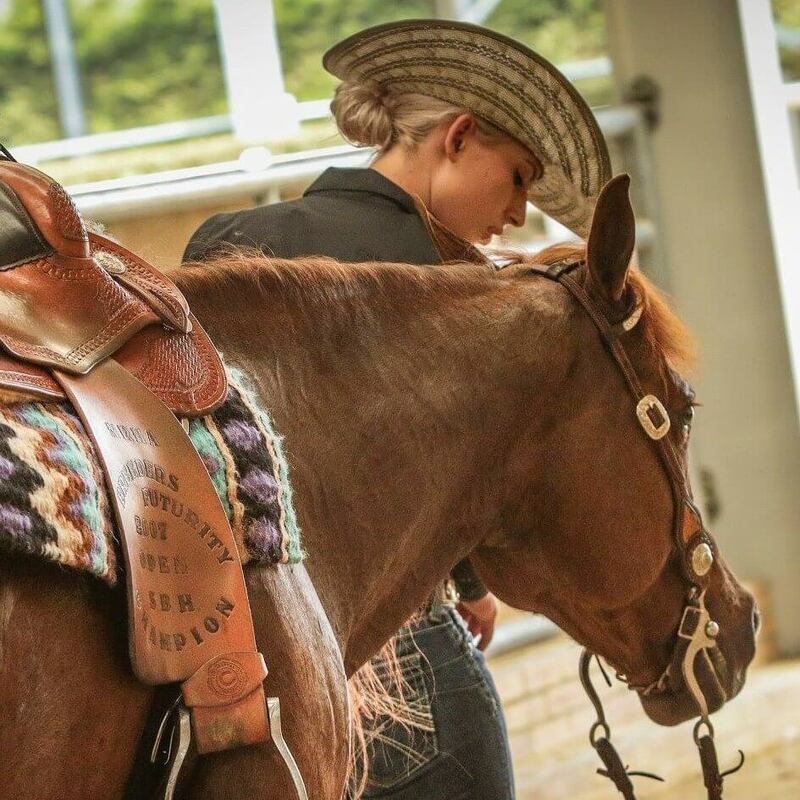 The competition is intense with 25 to 30 competitors in each class – everyone wants to win, but not at any cost because quality reining is always supported. Frederika Forbes and her mare Wind Her Up Right – 3rd Novice Horse Non Pro, 2nd Rookie Level 2 with a score of 69 and a well earner 7th in the Intermediate Non Pro. Bruce Lawrence rode Tina’s horse Spooks Attack with real determination and style to take 4th in the Limited Open scoring 140. Bob Reader rode Kaylogs in the same class, and he was 8th. Bob also took 5th in the Rookie Pro. 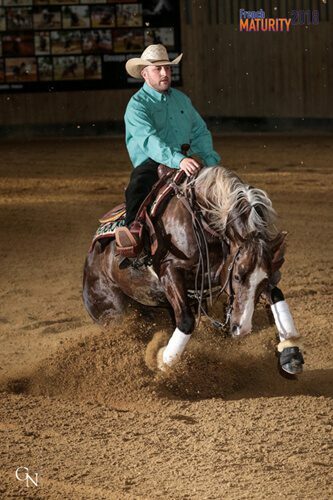 Lee Rutter rode Lita Pocock’s stallion Little Nic for a definitive victory in the Intermediate Pro with a score of 144, by gaining plus marks in all his spins and circles from both judges. Lee also spend many hours coaching Lita and Alison to push them outside of their comfort zones. Alison Bucknell rode her own Jac Barbee Dream in the Non Pro Maturity taking 4th place in level 2 and 3rd in Level 4 with a score of 142.5. Later in the week Alison and Jac ran a 141 to win the Non Pro Champion Trophy and Co Champion for the Limited Non Pro with the same run. Luke Phillimore rode Roma Phillimore’s Mare Tin Whizin in the Non Pro Maturity with a score of 141.5 to take 6th in Level 2 and 5th in Level 4. The marks at the Maturity were very close and the competitions was tightly fought with good humour and lots of screaming and shouting in support of each run. I think many of us will return for the next Show the French Grand Prix at the end of May, for the next wave?? !